1) To get started, download Philz CWM Recovery image for Karbonn Titanium S1 Plusand save it in your computer. 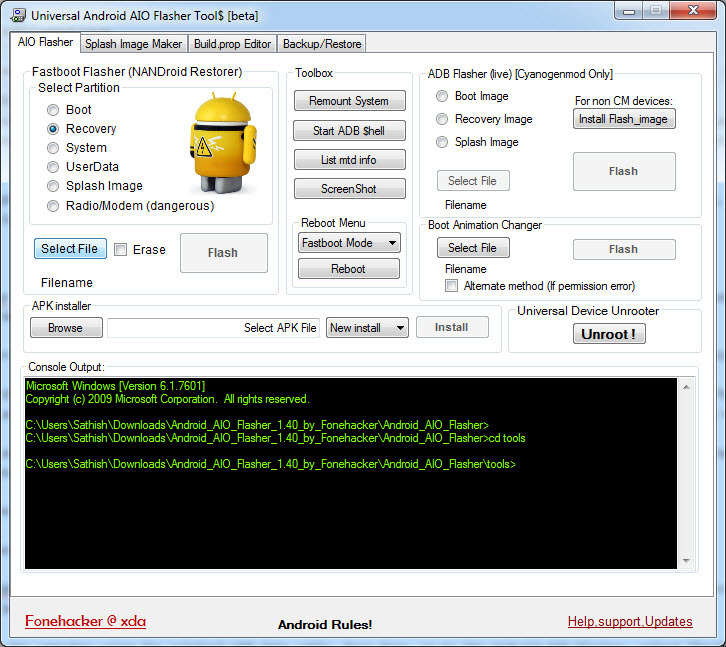 Once done, download Universal Android AIO Flasher Tool to your computer. Once downloaded, “Android AIO Flasher” executable file to launch up its window. 2) Next, connect your smartphone to the computer using the original USB data cable. 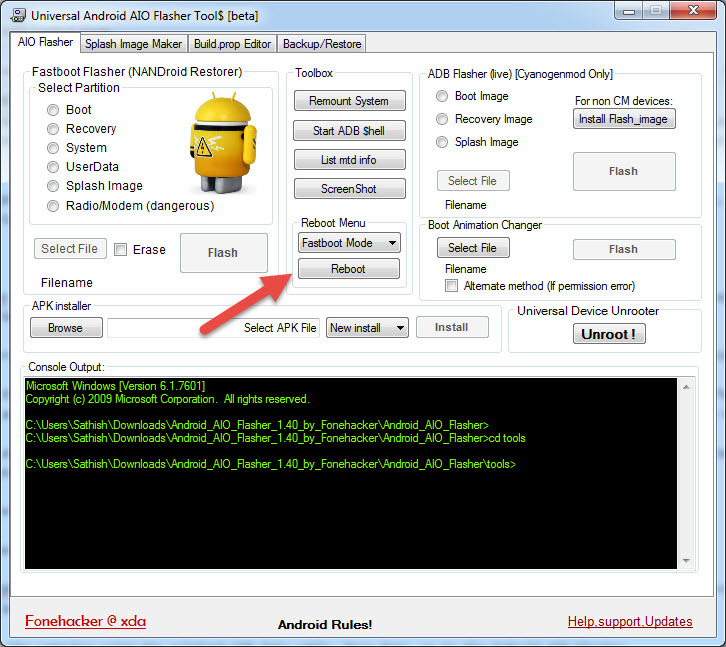 Once done, go to the Android AIO Flasher, select “Fastboot Mode” under “Reboot Menu” and then click on “Reboot” to boot your device into Fastboot mode. 3) Once done, choose “Recovery” under “Fastboot Flasher -> Select Partition“, select the Philz CWM recovery image by click on “Select File” and click on “Flash” to begin the flashing process. 4) Once is flashing process is over, you can unplug your smartphone from the computer. That’s it. Now you have successfully finished flashing Philz CWM recovery in your Karbonn smartphone. Let’s find out how to root your Karbonn Android smartphone. 1) To get started, download SuperSU zip package to your computer. Once done, connect your smartphone to the computer using original data cable, transfer the SuperSU file to your device’s SD card and then disconnect your smartphone from the computer. 2) Now, switch off your smartphone and boot into the CWM recovery mode by pressing and holding the Volume Up and Power button simultaneously. 3) Once you are in the CWM recovery mode, select “Install Zip” and choose the SuperSU file which you have transferred to your SD card in Step 1 to begin the flashing process. 4) Once the flashing process gets finished, reboot your device normally. That’s it. Now you have successfully finished rooting Karbonn Titanium S1 Plus. For confirmation, go to your Apps Menu and look for SuperSU app. If you can find it there, then the rooting process is successfully finished. Alternatively, you can confirm the rooting privileges by using the Root Checker app from Google Play store.